What can be more romantic than a week spent lazing under the sun right next to the sea? What’s more fun than sipping on pinacoladas and binging on delicious sea-food? Doesn’t it sound just heavenly? Islands give that much-needed privacy and downtime that every couple needs on vacation. There’s no rush to do anything, not too many places that you simply MUST sightsee, obscure mobile network and scattered crowds. All these conditions are perfect for a couple to focus on each other and forget the world outside! Check out the5 most romantic island getaways and start chalking out your next romantic holiday! There are countless little islands in the whole of Hawaii – Maui, Kauai, Oahu, etc – that beg for your attention. We don’t know what it is about Hawaii; it may be the watercolour sunsets or the maitais or leis, but it’s simply a hotspot for romance. It would be remiss if we didn’t mention Maldives in this list of the 5 most romantic island getaways! Drifting out on the Indian Ocean, the lines upon lines of floating bungalows and cottages are what characterize the Maldives. 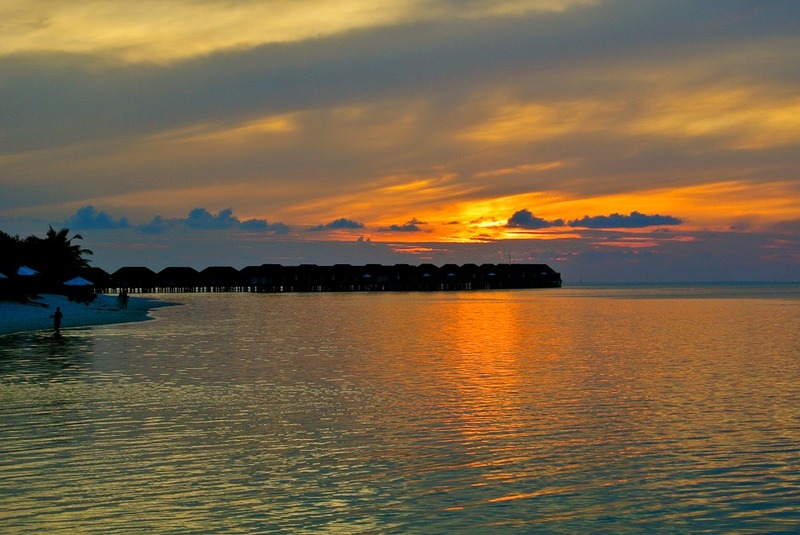 Is it wonder then that couples tend to prefer the Maldives over any other honeymoon destination? This French-speaking Caribbean island will have you feeling warm and fuzzy inside the moment you step foot inside one of its resorts! Granted, it can be on the more expensive side of things, but then if you are ready and willing to splurge, then there’s nothing like St. Barts. Flaunting about 115 breath-taking islands, Seychelles in the Indian Ocean off East Africa is like a dream come true. With an ambience that will have the most conservative couple canoodling, Seychelles will have you bonding and relaxing in no time. If there’s one place in the South Pacific that you ought to be, it’s the Fiji Islands. If your idea of a romantic island getaway is blue lagoons and palm-fringed beaches, then look no further than Fiji. It’s straight out of a travel magazine! How many of these islands have you been to? Which other islands would you add to this list of the 5 most romantic island getaways?